They built the well after the old one dried up for the fourth time. Their mother, who lives in a “colonia” — an unincorporated community — of about 400 residents outside of Yuma, Arizona had gone without water to her home for a year. All along the U.S.-Mexico border, about 840,000 mostly low-income, immigrant Latinos have settled in colonias — cheap plots of land outside city limits without basic infrastructure such as water and sewage systems, electricity and paved roads. Thousands of mostly immigrants – both legal and undocumented –who couldn’t afford to live in the city settled in colonias. County and state regulations did not require developers to provide basic services if the land didn’t exceed a certain number of lots. In the early 1990's, after a population boom, the U.S. Department of Housing and Urban Development and the Department of Agriculture officially recognized colonias as neighborhoods within 150 miles of the border that lack some basic utilities. The National Affordable Housing Act of 1990 required that all the border states set aside a percentage of Community Development Block Grants for colonias. Some colonias have their own water systems or receive water from nearby cities if they're close enough. Their treatment facilities, pipes, wellsand septic tanks are too often old, or they can’t afford the technology to properly clean the water. Franciela Vega, business affairs manager for the Tornillo water district, said securinga loan wasn’t a viable option.“We knew that if we obtained a full loan, it wouldn't be affordable for the customers,” Vega said. 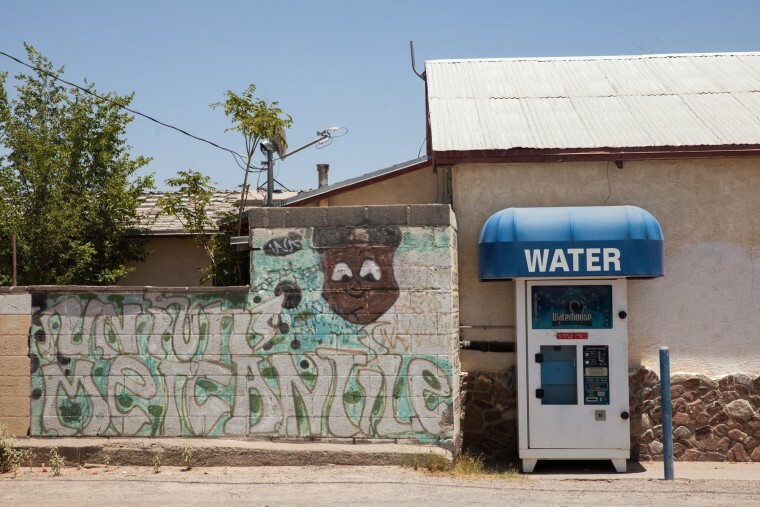 The system, which delivers water to 72 homes, has had uranium and fluoride levels above the legal limit intermittently since 2002, but it could not afford the technology to remove the uranium.In July, it began buying water from the city of Lordsburg, which is less than 3 miles away. Padilla tried to persuade the city water utility, Horizon Regional Municipal Utility District, to build a sewage system in Horizon View Estates. He called a state senator, the county commissioner and a state representative and invited them to Horizon View to listen to residents. He handed out more than 200 fliers inviting residents to a meeting so officials could talk about funding options for the $10 million sewage project. Lorena Hernandez, a Tornillo resident,said undocumented immigrants in Tornillo won’t accept free water filters from a nonprofit. They won’t go to the water district meetings either. They told her if they go to the meetings, officials will tell them: “What are you complaining for if you’re not from here?” she said in Spanish. For the complete "Troubled Water" project, please go to troubledwater.news21.com. This report is part of a project on drinking water contamination in the United States produced by the Carnegie-Knight News21 program.